Aylesbury Estate Compulsory Purchase Order blocked – what happens next? The Aylesbury Estate Compulsory Purchase Order has been blocked, which is good news for the residents who have been fighting it. We take a look at what happens next. The Aylesbury Estate in South London, built in the 1960s and 1970s, is in the process of a massive regeneration which will see the existing buildings demolished to be replaced with higher density and modern private and social housing. But what about the residents who are currently living on the estate? Whilst some current residents support the changes, others have been concerned that their interests have not been considered and that they will not be offered affordable or suitable accommodation on the redeveloped site. 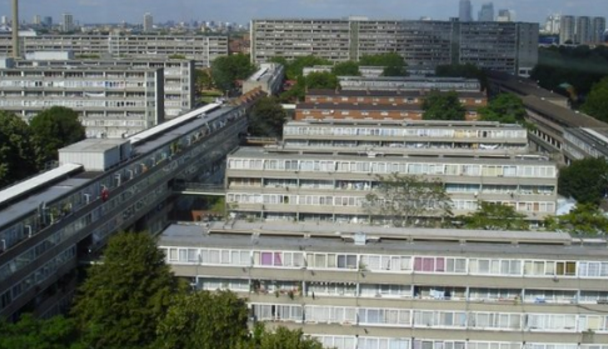 A number of leaseholders from Aylesbury Estate have recently gained the support of the Secretary of State for Communities and Development in what Compulsory Purchase Order surveyor Dan Knowles describes as a “milestone” decision. The Secretary of State upheld the planning inspector’s report that the CPO for part of the development should not be confirmed. The main reason given was the human rights of the existing residents. Another reason for blocking the Order was that the local authority (Southwark) had not taken enough steps to negotiate with the homeowners. It was successfully argued that the deal being offered to residents of the Aylesbury Estate would likely mean that many of them would not be able to remain in the local area and would be forced to move away. Southwark has said it will seek judicial review of the case but it may take a year for the High Court to decide on this. In the meantime, in order to progress the development, the authority would be well advised to listen to the leaseholders’ views and perhaps to try to reach settlement with them. In any event, the decision now means that all acquiring authorities will have to make more effort to show that they are genuinely engaging in proper negotiations with leaseholders and cannot assume that the greater good of a regeneration scheme will automatically prevail over existing homeowner’s interests. Have you had a similar experience with CPO? Leave a comment below or send an email to hello@hoa.org.uk – we’d love to hear from you and do what we can to help.